This initiative provides instructions on how the neighborhood association can aid in starting a neighborhood home improvement group. Neighborhood home improvement groups are becoming a popular way to save money and make homes and the neighborhood a nicer place to live. But perhaps the best benefit of all is the sense of community that builds among neighbors. Neighborhoods throughout the country are done waiting for help improving their homes and are beginning to solve problems together. Home improvement groups typically involve residents meeting one day per month to help improve upon each other’s home. One example in Tampa, Florida requires new members to volunteer at least twice before the group will help with home projects. The groups focus on simple projects, while using the power of numbers to finish projects quickly and efficiently. This is done by sharing expertise and tools. If a resident does not have home building expertise, other options are available, such as providing food and drinks or promoting and organizing events. The housing stock throughout Muncie is overwhelmingly deteriorating. When the housing stock deteriorates the neighborhood does not appear as inviting, residents leave, home values drop, and the neighborhood loses its ability to attract new investment. By completing this initiative the neighborhood will improve one home at a time, build community, expand individual expertise, improve the neighborhood property values, and create an overall better place to live while taking the stress out of home improvements. The neighborhood association will first need to appoint two or three dedicated individuals who would like to manage the home improvement team. The association should then contact neighbors and friends, and see if they are willing to commit to a group, sending out a memo to residents and see who would like to participate. This form of communication should outline what the group will need and ideas on how it could operate. The repair group will need people with experience in home improvement and other hobbies. Other residents are needed as well, to run errands and provide additional muscle power. Next, tools need to be organized to know what is available and what may need purchased or rented. Develop a structure. Determine the frequency of projects (once a month is typical), the days and times when the work will take place, etc. Let people know this is flexible and that you can determine the details as a group. Once you get a group together, create a list of contact info with names, phone numbers and email addresses. Plan a preliminary meeting over brunch or coffee. Create a schedule for projects. Once you know how often you want to get together, you can schedule everyone’s projects. You might want to keep your schedule to summer months, e.g. March through November. Participants need to commit to every project in order to get their own project included. Commitment is what makes this work. If someone can’t come, be flexible in rescheduling. It may be appropriate to require new members to volunteer at least two days before receiving home improvements. Make a plan for emergencies. If something crops up unexpectedly be flexible. Someone may have to forgo their project to help with the emergency, but they should be given priority in the next scheduling. Or maybe work an extra day, if the group sees appropriate. These are group decisions, but try to put something in place before an emergency arises. Workers and group members should also sign consent forms to provide protection for homeowners. The owners of the home where the project is based should be organized beforehand. Send out a summary of the project with skills and tools needed. Provide materials, which should already be on the site. Be ready to put people to work when they get there. The homeowner should provide water and snacks, or even lunch, as a courtesy. The group will morph and settle into a rhythm as you get to know each other and your competencies. Community, socializing with and trusting your neighbors are human needs. It is important to promote the group on social media sites, flyers throughout the neighborhood, and ads in the newspaper. The group should also look for local support and partnerships to help with building materials, tools, and finances. Muncie’s Habitat for Humanity provides materials at ReStore, and may help in providing expertise and volunteers. Other organizations could provide financing for these materials such as Ball Brothers Foundation and Vectren. 2620 N. Dr. Martin Luther King Jr. Blvd. The map below shows assessed values from 2013, blue being parcelss assessed over $300,000, light blue assessed between $85,001 and $300,000, yellow parcels assessed between $50,001 and $85,000, organge assessed between $30,001 and $50,000, and red being assessed under $30,000. The black hatches show which homes filed for homestead exemptions, giving the neighborhood an idea how how many owner occupied units are within the study area. This map is to show the amount of homeowners in the study area compared with the need for home improvements. With proper organization and community support this initiative could greatly improve neighborhood home values. 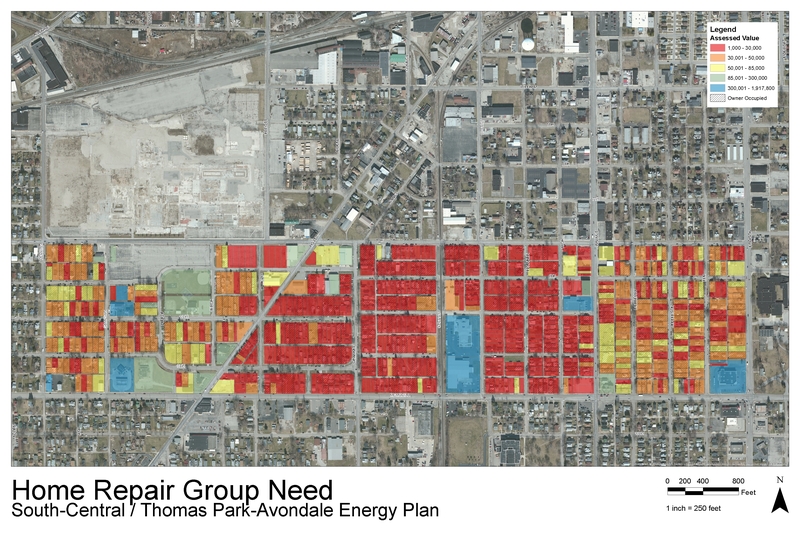 Figure 2 – Map showing the need for a home repair group. Map: Derek Walker. Seminole Heights neighborhood had been run-down and crime-ridden for years and was just starting to undergo a renaissance. A young resident, Maria Garcia-Gutierrez who just moved in was attempting to renovate a new how she purchased for cheap. After running into neighbors with similar objectives she got the idea to combine expertise and save money on contractors. After discussing the idea with neighbors the Home Improvement Team (HIT) was formed in 2000. The neighbors worked together to do repair and renovation projects for each other one Saturday a month. The benefits, says Garcia-Gutierrez, are enormous: They pool their expertise, the sheer number of workers make the projects go faster, and they save money by not hiring contractors. Saving money allows many home repair teams to more easily afford green home improvement products, like sustainably harvested wood. Best of all, regularly working side-by-side fosters solid friendships and a real sense of community. The members of HIT all owned homes in various stages of renovation. Projects ranged from putting up privacy fences, replacing Garcia-Gutierrez’s rotting porch, to building a garage. When most of the members finished their major repairs, they found that they still had no shortage of projects. “We still do a lot of painting, some landscaping, and even general yard maintenance when people’s yards get a little too overgrown,” Garcia-Gutierrez says. And, since she eventually married an electrician, they now handle some electrical projects, like installing new light fixtures. In the beginning, the HIT members drew two names out of a hat to decide who would get to go first. Then they set up a rule that members must work on at least two projects before they’re eligible to have a project done in their home. The first few people were on an honor system; now, Garcia Gutierrez keeps track of who has worked on what in a simple database on her computer. • Meet one weekend day a month: Anything more than that may scare off busy neighbors. • Keep in regular contact with each other. Free listservs like those offered by Yahoo.com or Google.com provide an easy way for members to stay in touch. You can send out reminders about work days, ask for needed equipment, and collect RSVPs from people who plan to attend. • Figure out a simple system for taking turns. A small, stable group can have a simple rotation system. HIT began by drawing two names out of a hat and then initiated the two-project rule. • Make a pact to go green. Commit to researching and implementing the safest, least-toxic solutions to home repair problems. • Protect residents legally. Garcia-Gutierrez has everyone sign a waiver saying that if they get injured, they assume all responsibility and waive any responsibility on the part of the homeowner. • Choose projects that can be completed in a day, such as painting a kitchen or tiling a bathroom. Or if you do decide to have your local home repair team tackle a larger project, make sure it’s one where even if it isn’t completed, you’ll be glad that you’ve gotten a head start. Try to keep projects simple. • Pool your tools. Figure out what tools will be needed for the project beforehand, and let the group know. In many cases, group members will have the necessary tools. When a piece of equipment that no one owns is needed, renting one tends to be cheaper. • Feed the people: Since homeowners are basically getting free labor, it’s a good idea for them to provide food and beverages. Count on at least two meals, as well as a steady supply of drinks. • Invite new members. Put ads in your local paper and community newsletter, and hang up signs in the neighborhood. • Bring in experts: Some repair teams invite experts to conduct workshops on various aspects of home repair, such as setting tile or faux painting.